My dear friend Aileen said that this Ritz Pecan Pie was the only Pecan Pie she knew growing-up. 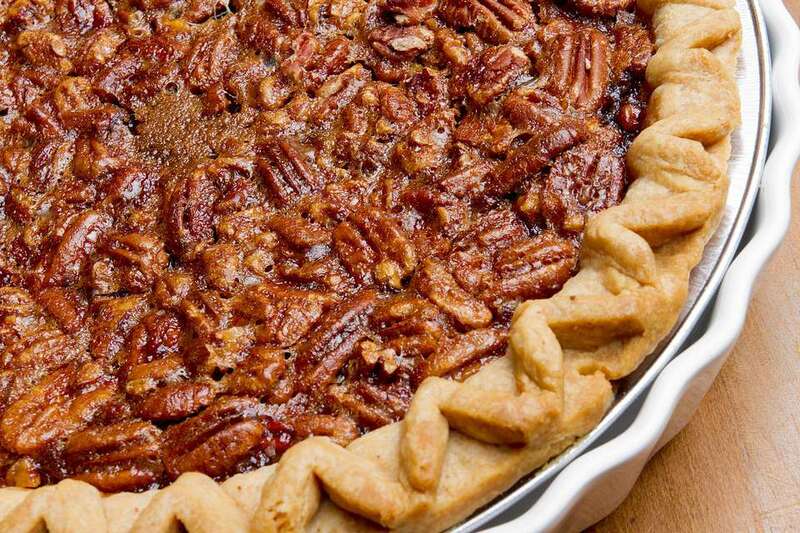 It wasn't until she moved south that she realized that this recipe wasn't the same as a Southern Pecan Pie. She still prefers this recipe, as it's not as sweet. What this pie lacks in sweetness, more than makes it up for it in richness. I grew-up on Ritz Crackers and the only choice of nut for baking was a pecan. It's funny, but Mother never made this pie. I'm sure it's because she loved a regular Pecan Pie. Coincidentally, my mother-in-law's favorite desserts is a real Pecan Pie as well. Preheat the oven to 350 degrees F. Grease an 9-inch pie plate. Either use a food processor or zip-lock bag and a rolling pin to crush the crackers. Beat the egg whites until stiff. Fold in the cracker crumbs and the rest of ingredients. Put into the pie plate. Bake your pie for 25 minutes. Cool the Ritz Pecan Pie on wire rack before serving. Serve with homemade whipped cream. *Although, it's not necessary to toast the pecans in this recipe, I prefer the stronger nut flavor. Barking Crackers a.k.a. Crack - It's amazing how making a toffee and pouring it over a layer of saltine crackers could be so addictive. Clean Your Pantry Cookie Bars - Graham crackers are in these cookies, along with a lot of tasty ingredients. Orange Icebox Pie - This pie is just one of many cold and creamy pies that has a graham cracker crust. Pecans are grown in all of the southern and south western states including California. Albany, Georgia is said to have the most pecans trees in the United States. Pecans are loaded with antioxidants, which help make them heart healthy and lower cholesterol. They are a good source of plant protein and may protect the mind from neurological diseases such as Alzheimer's. Pecans may even help with weight loss. Of course, maybe not when I eat them. I like my pecans in sweet and/or salty treats.